This mod adds support for Caliente's Bodyslide 1.4 to Noble Female Clothes Non-replacer by Merilia and Karmoth. This mod inherits the standard Caliente Body Presets, so any of your own presets that support vanilla outfits will work. 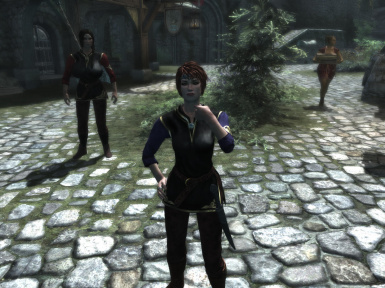 If you wish to revert to vanilla noble clothes after using Bodyslide you will have to uninstall and reinstall 'Noble Female Clothes Non-replacer by Merilia and Karmoth'. This will restore the original Meshes. If you are offended by the very large bust in the screenshots this is only for illustration purposes to show that this supports Caliente's smallest and largest sizes. If you do not want your character to look like this you do not have to use those sliders. I have permission for this mod from Merilia.